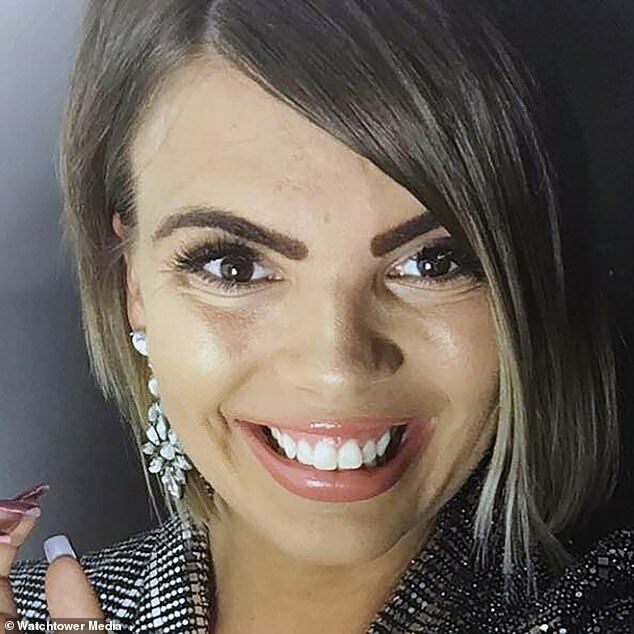 Danielle Dodds sobbed as she relived the ‘torturous’ assault she claims Garry McNeill carried out on her. 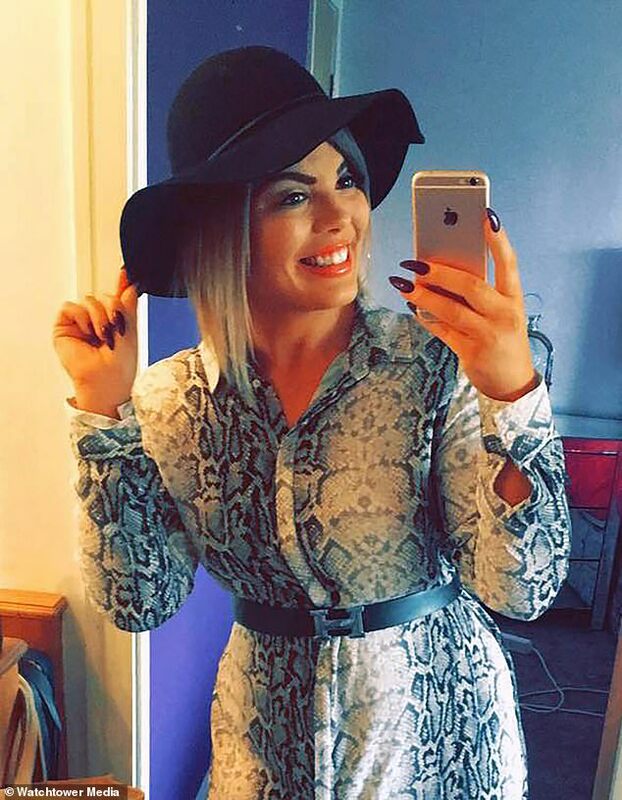 Miss Dodds said she was left covered in bruises with a burst lip as McNeill carried out a prolonged attacked her at her home in Linwood, Renfrewshire. And she said she thought she was going to die during the attack – and made peace with the fact she was going to be killed. But she lived to tell the tale of the alleged attack, saying it came to an end when he fell asleep – and she managed to flee her property. Giving evidence during his trial at Paisley Sheriff Court this week, Miss Dodds explained: ‘He pulled my eyelashes out. He wanted me to eat them. ‘He also pulled out part of my eyebrows. ‘He twisted my arm up my back and pushed my face in to the sofa. ‘There was a lot of prolonged aggression before he got to the torturous stuff, to be honest. ‘He had his hands on my throat. ‘He also put a blanket down my throat to stop me breathing and I was choking. Miss Dodds said the attack continued and moved from her bedroom to the kitchen, where McNeill used a knife on her. She explained: ‘He asked me if I would like a haircut. ‘I know Garry, I knew there was no point saying ‘no’ – it was happening. ‘He grabbed me by the top knot, pushed me on to the knees and pulled me to the kitchen like a dog and made me bark. ‘I was on my knees and he was pulling my hair. ‘He asked where I kept the scissors and I said I didn’t have any. ‘He said, ‘okay, it’ll need to be a kitchen knife, then’. ‘He grabbed me by the hair and hacked my hair off. ‘Then he asked me if he was ‘a good hairdresser’, because his mum is a hairdresser. ‘I said, ‘no’, and he said, ‘I need some practice, then, let’s go again!’. ‘He hacked away at my hair again – there was hair all over the floor. Miss Dodds said that, during the attack, she managed to make a run for her front door and got out of the internal front door but got stuck in the porch. She said Garry chased after her and caught her in the porch, pulled her back in to the flat and started raining blows on her head. She explained: ‘He was sitting on top of me, asking me questions and, for every response he didn’t like, he punched me in the face. ‘This lasted for about 30 to 45 minutes. ‘I remember blacking out but I came back round quite quickly. ‘He eventually let me go to the toilet.’ Miss Dodds said McNeill later went to bed and fell asleep and that she managed to convince him while he was half asleep to give her back her phone. She said she scoured her house for her spare car key, as he had the other, and that she texted a friend before leaving her property and eventually calling the police. And she said she only returned to her home when police confirmed to her McNeill had been arrested in relation to the alleged attack. McNeill, 32, of Glasgow, maintains his innocence over the November 2018 alleged assault and the trial, before Sheriff Colin Pettigrew, is due to continue later this month.